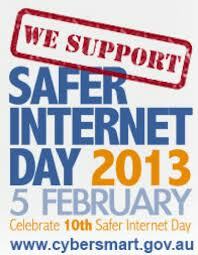 This week marks ‘Safer Internet Week’. The Midland Information, Debt & Legal Advocacy Service Inc (MIDLAS) would like to share some important tips on how you can maintain your safety whilst using the internet. Over the past 20 years in particular the last decade, internet use amongst Australians has increased dramatically. It is estimated that nearly three-quarters of Australian households regularly use the internet at home and more than 90% of businesses use the internet each and every day to operate their services. The growing internet usage amongst Australians can be credited to many influences including: wider range of new technologies, faster internet speeds, Australian businesses operating online, social media, etc… In order to fully participate in society today people are needing to use the internet on a regular basis. MIDLAS offers six free services to vulnerable and disadvantaged people living in the North East of Perth including: financial counselling, domestic violence legal service, tenancy advocacy, disability advocacy, information and referral. Information about these individual services and how to make an appointment are available online through our website www.midals.org.au and on the various social media platforms below.